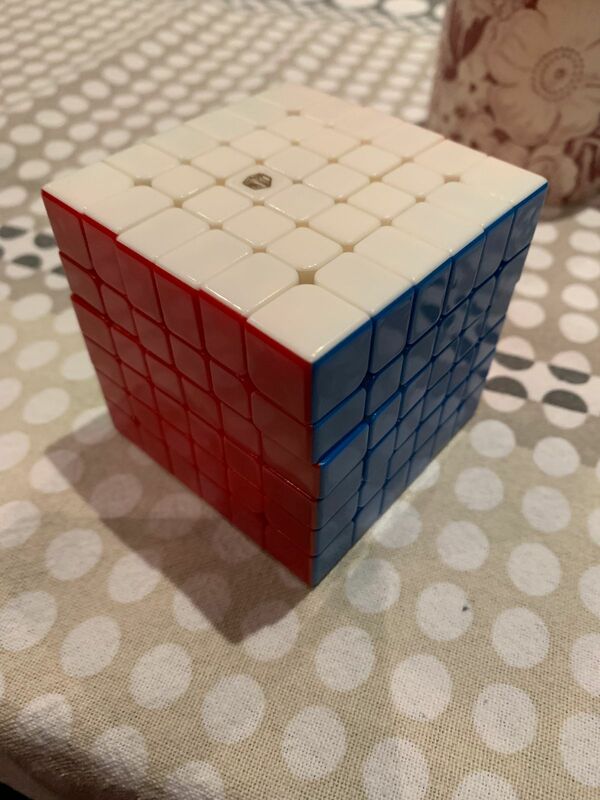 I finally get to experience the largest of the WCA speedcubes and now I can train along with other cubers and appreciate the intricacies and complexity of the puzzles! This cube O.O.T.B was great, with fast, sandy double layers and smoothish and slightly bumpy outer layers. The outer layer magnets aren't that strong, whilst the double layer ones are stronger, with the innermost magnets being the strongest. The shades are quite bright, except for the red and blue which are darker. 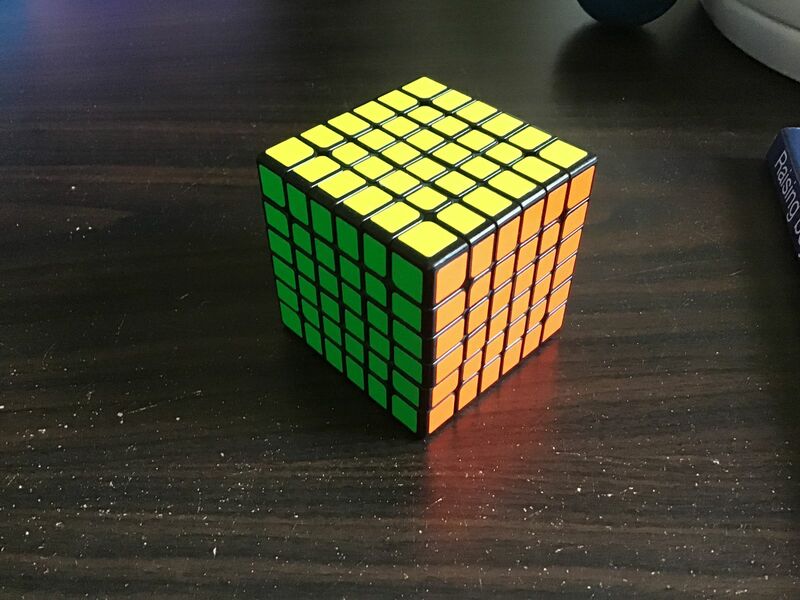 When switching between solving stickerless puzzles and the Shadow, the stickerless shades look a bit translucent, but your eyes get use to this after a couple of minutes. The Corner-cutting is fairly good (up to a piece in regular and a third of a piece reverse), but if you go too far the pieces lock-up with the centres sometimes coming out of place. However, these lock-ups are relatively easy to fix, and I have only had two pops; one when a single centre came out, another when one of the internal pieces fell out and I had to take apart a small section of the cube. The another con I can think of about this cube is that the bumpy inner layers are a fair bit slower than the other two, which may be due to the stronger magnets. However, this doesn't affect solving that much. Last of all, the stickers started the chip after a few hours of use, which I was a little bit disappointed about. Overall, this 6x6 is extremely good, and I believe it is currently the best on the market. 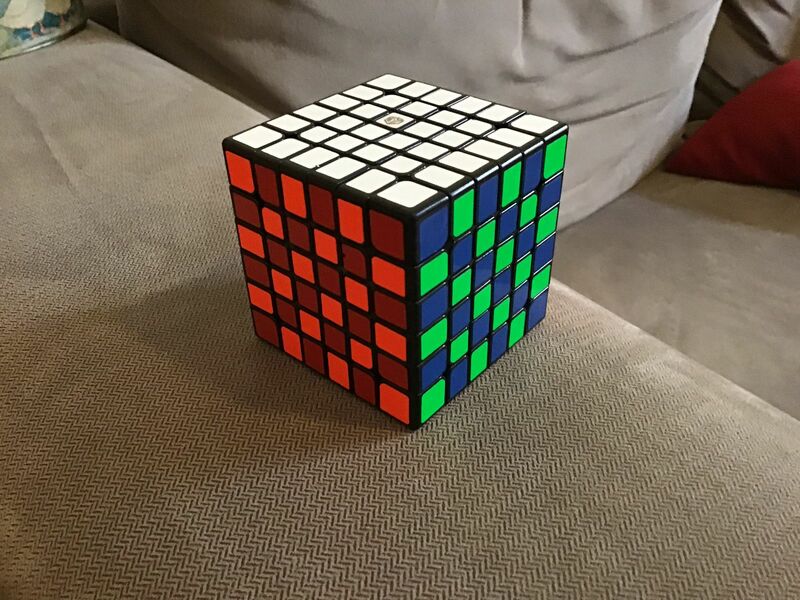 I'd recommend it to all 6x6 solvers. This cube was great outright, with fast, bumpy outers, and smoother inner layers. 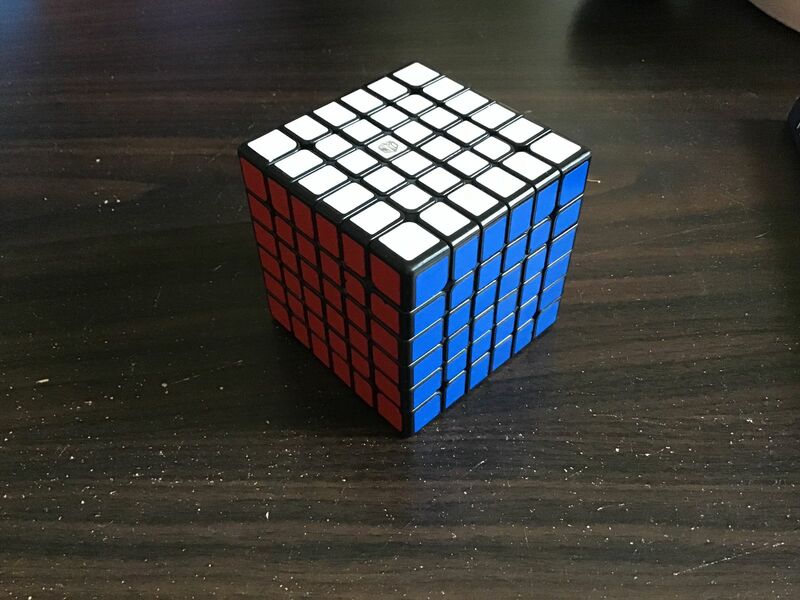 Initially I found the tensions a little loose, but after some basic setup and some solves it turns with stability and speed of a decent 5x5 let alone a 6x6.